Today, I’m going to break down the most important things you should do for your finances in the 4th quarter to make the end of the fiscal year as painless as possible. It’s important to stay on top of your 4th quarter finances so that you don’t end up with a crisis come tax season. If you are employing people or have independent contractors working for you, you need to prepare for reporting their incomes to the IRS by 1/31/2018. Look at your vendors and anyone else you’ve paid for 2017 and make sure that you have a W-9 on file. If you’ve paid people through PayPal or on a credit card, the payment processor will take care of the 1099. The best thing you can do is issue W-9’s as soon as you onboard a new vendor so that you can issue a 1099 when the time comes. When it comes to W-2’s, make sure that you have the current addresses for every single one of your employees. This way, you’ll be able to send out the right W-2’s to the right people and avoid having to redo them at the end of the quarter. Don’t make the mistake of waiting until January or February to catch up your books. Doing an entire year’s worth of data at once is intense and can take an enormous amount of time. Make sure that all of your transactions are in your accounting software. Most major account software solutions will allow you to import your banking transactions directly, reducing the data input. However, you’ll still need audit your bank transactions to guarantee that the balances showing up in your accounting software is correct. You don’t necessarily need to handle your books yourself. 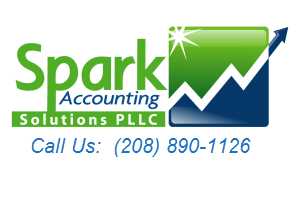 Find a bookkeeping professional that specializes in your accounting software to help you. Fourth quarter is a perfect time to start planning your taxes. Some business owners want to show more taxable income, others want to show less. Why would you want to show more taxable income? It’s because it may help you qualify for a business loan or mortgage. What is your goal? More income or less income? If you want less taxable income, you’ll want to delay customer payments. If you want more taxable income, start doing collection calls to get any outstanding income paid before the end of December. Do not spend a single dollar to save $.25. Only buy new equipment if you actually need. Don’t buy new things to save money on your taxes! All you’ll be doing is destroying your profitability and your cash flow. One of the powerful things about having the right data about 2017 is that it empowers you to start planning ahead for 2018. What will the next year look like? What is your end financial goal for 2018? Do you want more personal income? Want to give your team a raise? Should you cover employee benefits? Figure out your end goal for next year. What is your revenue goal for next year? How will you achieve that? Pricing increases, new clients or more revenue from existing clients? Perhaps all three? Very few business owners sit down and create a forecast for 2018. However, those that do are far more apt to succeed in meeting their goals. Set aside some time to put a 2018 forecast down in writing. If you want an extra $2,000 in revenue for the entire year, break that down to incremental steps that you can accomplish throughout the year. Create a forecast with specific goals identified so that you can understand the actionable steps you must take to reach those goals. Small businesses are often lacking when it comes to planning for retirement contributions. All business owners should give themselves the same level of benefits that a larger business would provide you, which includes includes retirement. How much money do you actually want to put away? This answer will depend on which type of retirement plan you should use. You absolutely must start preparing for your 1099’s and W-2’s as soon as possible. You’ll avoid being in crisis mode later in the year. Start getting your books in order and planning for your taxing. Work on your forecast for 2018 to meet your goals. Lastly, start planning for your retirement contributions. Begin by getting your books done, then move on to the other tips. Without having your books in order, you won’t be able to complete many of the other tips. Are you prepared for the upcoming tax season? Are your books in order? Let us know in the comments!